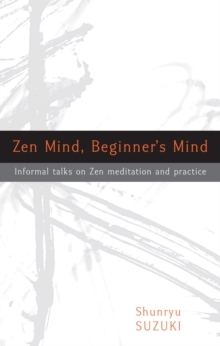 When Shunryu Suzuki Roshi's Zen Mind, Beginner's Mind was published in 1972, it was enthusiastically embraced by Westerners eager for spiritual insight and knowledge of Zen. The book became the most successful treatise on Buddhism in English, selling more than one million copies to date. 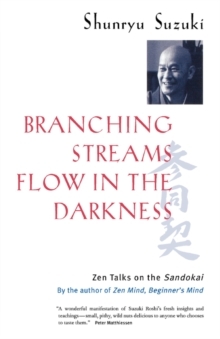 Branching Streams Flow in the Darkness is the first follow-up volume to Suzuki Roshi's important work. 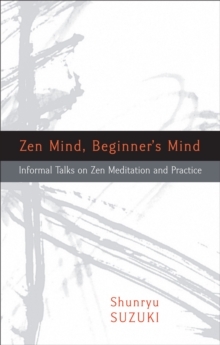 Like Zen Mind, Beginner's Mind, it is a collection of lectures that reveal the insight, humor, and intimacy with Zen that made Suzuki Roshi so influential as a teacher. The Sandokai--a poem by the eighth-century Zen master Sekito Kisen (Ch. Shitou Xiqian)--is the subject of these lectures. Given in 1970 at Tassajara Zen Mountain Center, the lectures are an example of a Zen teacher in his prime elucidating a venerated, ancient, and difficult work to his Western students. The poem addresses the question of how the oneness of things and the multiplicity of things coexist (or, as Suzuki Roshi expresses it, "things-as-it-is"). Included with the lectures are his students' questions and his direct answers to them, along with a meditation instruction. 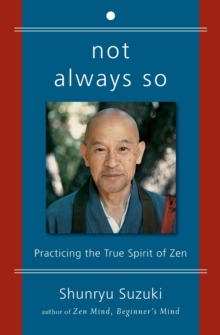 Suzuki Roshi's teachings are valuable not only for those with a general interest in Buddhism but also for students of Zen practice wanting an example of how a modern master in the Japanese Soto Zen tradition understands this core text today.